Isle of Wight council are considering scrapping a scheme that helps fund cross-Solent travel for the most vulnerable Islanders receiving chemotherapy, radiotherapy or renal dialysis on the mainland . It will be a budget saving of £60,000 per annum. An online petition has been launched to oppose the Conservative Council’s plans to end the Cross-Solent Travel scheme which supports free travel for seriously ill patients attending appointments on the mainland. 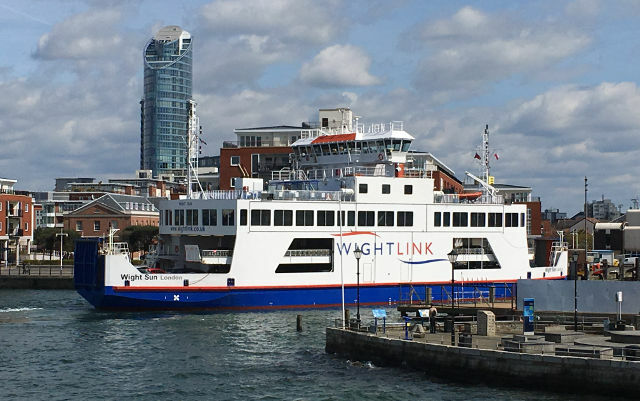 “We the general public are incensed that the Isle of Wight Council are even considering cutting the free travel for NHS patients across the Solent. We the public feel that the extra pressure this will put on patients and their families both physically and financially and when they are at there lowest. You can see the petition over on the Change.org Website. At time of publishing the petition had 375 signatures. As part of the Isle of Wight council’s attempts to fill a £5.5m budget gap next year, they have launched a consultation on future of the Cross Solent Travel Scheme. Cllr Clare Mosdell says scheme is currently allocated £60,000 per year. It’s a discretionary, non-means tested measure providing financial support to NHS patients travelling to the mainland to receive specific treatments for chemotherapy, radiotherapy or renal dialysis. 3 Comments on "Council will only save £60k halting x-Solent travel support for IW Cancer patients: Petition says ‘No’"
It isn’t “free travel”…it’s publicly funded. Do people not take responsibility for the limitations of living on an island anymore? I would advise use of the “NHS Healthcare Travel Costs Scheme (HTCS)”. This is what the rest of the country do. Perhaps if the NHS on the Island was correctly funded people wouldn’t have to travel to mainland. That aside 60K is a drop in the ocean or Solent if you prefer, we are talking of a council that has blown 6million on a boat that can’t cross the Medina on a reliable basis.